Participants will consider the ways in which we understand and interpret written, printed, and physical materials from the early medieval period. This is enhanced by the growing availability of digital resources which enhance the potential for visual perception while reducing the opportunity to use other senses for interpretation. At the same time, scholarship is becoming more conscious of ways in which artefacts and documents were perceived and used in the period: of how the design of objects, including books and manuscripts, controlled their reception. 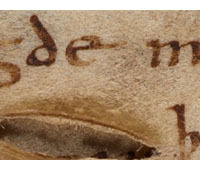 Papers include discussions of the role of digital editions of texts, the impact of art, perceptions of deafness, the sensory experience of manuscripts, and the presentation and exploitation of the senses in Old English, Old Norse, and Medieval Literature. This entry was posted in Upcoming Events and tagged manuscripts, medieval literature, Sense Perceptions, UCL on April 13, 2014 by medievalartresearch. Symposiarchs: Susan Ashbrook Harvey, Brown University and Margaret Mullett, Dumbarton Oaks. Byzantine culture was notably attuned to a cosmos of multiple domains: material, immaterial; bodily, intellectual, physical, spiritual; human, divine. Despite a prevailing discourse to the contrary, the Byzantine world found its bridges between domains most often in sensory modes of awareness. These different domains were concretely perceptible; further, they were encountered daily amidst the mundane no less than the exalted. Icons, incense, music, sacred architecture, ritual activity; saints, imperial families, persons at prayer; hymnography, ascetical or mystical literature: in all of its cultural expressions, the Byzantines excelled in highlighting the intersections between human and divine realms through sensory engagement (whether positive or negative). Byzantinists have been slow to look at the operations of the senses in Byzantium, especially those of seeing, its relation to the other senses, and phenomenological approaches in general. More recently work on smell and hearing has followed, and yet the areas of taste and touch—the most universal and the most necessary of the senses—are still largely uncharted. Nor has much been done to explore how Byzantines viewed the senses, or how they envisaged the sensory interactions with their world. A map of the connections between of sense-perceptions and other processes (of perception, memory, visualization) in the Byzantine brain has still to be sketched out. How did the Byzantines describe, narrate or represent the senses at work? It is hoped to further studies of the operations of individual senses in Byzantium in the context of all the senses, and their place in what the Byzantines thought about perception and cognition. 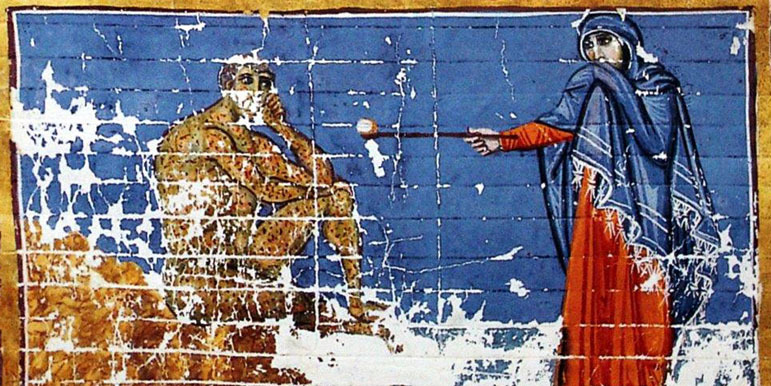 Recent work on dreaming, on memory and on the emotions has made advances possible, and collaborative experiments between Byzantinists and neurological scientists open further approaches. The happy coincidence of a Dumbarton Oaks Garden and Landscape symposium on ‘Senses in the landscape: non-visual experiences’ and of a forthcoming exhibition at the Walters Art Museum on the five senses enable some cross-cultural comparisons to be made involving gardens in Islamic Spain, Hebrew hymnography, Syriac wine-poetry, Mediterranean ordure, and Romanesque and Gothic precious objects—that were not just looked at but also touched, smelled, heard. Architects, musicologists, art historians, archaeologists, philologists, all can contribute approaches to the revelation of the Byzantine sensorium. This entry was posted in Upcoming Events and tagged Byzantine culture, Byzantine Studies Symposium, Sense Perceptions on January 28, 2014 by mariaalessiarossi.